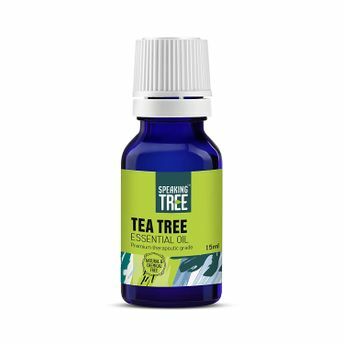 Speaking Tree's Tea Tree essential oil is 100% natural and organic. It contains premium therapeutic grade Tea Tree extracts which have unbelievable healing properties. Tea tree is known for being a natural all-around remedy, numerous studies have been conducted to prove the potential benefits of tea tree oil for various skin issues. The strong smell of tea tree oil naturally repels ants and other insects. Alternatively, you can also find many more products from the Speaking Tree Tea Tree Essential Oil range.